GeoGuard’s premium VPN/Proxy Detection now fully integrated with Akamai to offer enhanced anti-piracy tools for online streaming services. 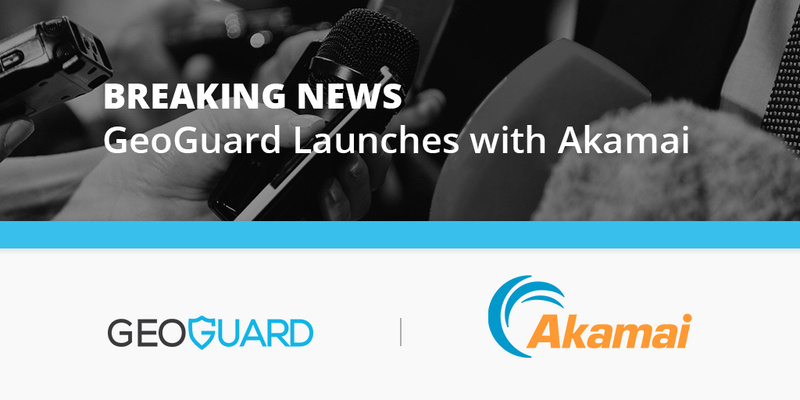 June 11, 2018 (Vancouver, Canada) – GeoGuard today announces a new agreement with Akamai in which GeoGuard’s market-leading VPN/DNS Proxy detection solution is available to Akamai customers via an integration into Akamai’s cloud delivery platform. Fully Hollywood Studio approved, this provides frictionless capabilities to online broadcasters to tap into GeoGuard’s award-winning solution to remain compliant with studio and sports rightsholders’ content protection obligations. With one in four web users regularly using VPNs, with the predominant purpose of bypassing content geo-filtering restrictions, this service will provide a simple and effective method for Akamai clients to just “turn on” the GeoGuard solution to benefit from an enhanced level of content security from geolocation fraud and geo-piracy, caused by the widespread use of VPNs and DNS Proxy services to fake location. GeoGuard and Akamai are working together to offer this innovative solution so please contact your Akamai account representative for more information. Based in Vancouver, Canada, GeoGuard provides geo-data verification solutions and services that enable content owners and OTT providers to prevent the illicit access to content through geo-piracy. The only VPN/DNS Proxy service to be 3rd party tested and rated “Very Strong”, as well as being independently rated as market-leading, GeoGuard provides a suite of geo-filtering solutions combined with human intelligence to stop internet users spoofing their location through VPNs and DNS Proxies, as well as through more specialist attacks.